Dragon Ball Z: Budokai Tenkaichi 3, originally published as Dragon Ball Z: Sparking! Meteor (ドラゴンボールZ Sparking! METEOR, Dragon Ball Z: Sparking! Meteor? Doragon Bōru Zetto Supākingu! Meteo) in Japan, is the third installment in the Budokai Tenkaichi series. 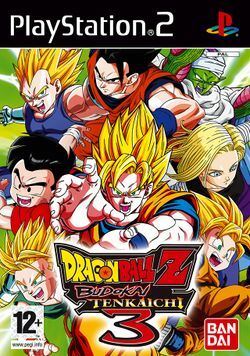 Tenkaichi 3 features over 162 characters, the largest character roster in any Dragon Ball Z game, as well as one of the largest in any fighting game. Ryo Mito once stated that the game would feature never-before-seen characters made exclusively for the game, although the only exclusive characters were the saiyans turning into big apes. GameStop offered an exclusive version with a bonus DVD containing the top 10 television series battles as voted by fans on the release date. This page was last edited on 3 April 2016, at 18:20.